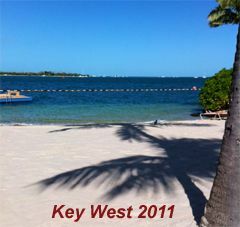 From a balmy, perfect 80 degrees in Key West to an icy, freezing 7 degrees in Denver -- pure culture shock. I'll be back to blogging soon, thanks to Big Tent Democrat for keeping the site running while I was gone. To tide you over, and given the icy roads, here's a primer I wrote on "What to do if I Get in an Accident: [More...]re's the ACLU's Know Your Rights.